June normally has the BBMF in full swing, but with the Dakota still waiting for parts there is no pilot with currency to fly the Lancaster when ready out of Duxford. I would think the Dakota is going to be very active as soon as parts are fitted. 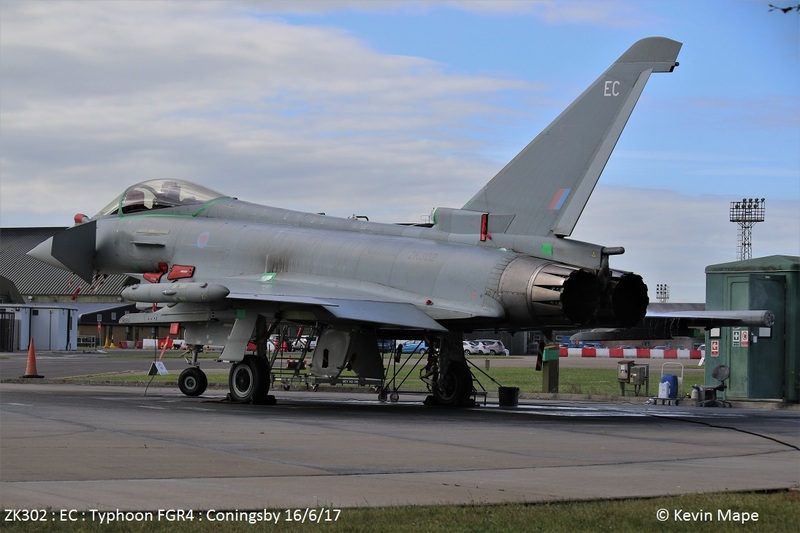 Typhoons are being marked with their last three digits of the serial to the point that is nice to see a Typhoon in it’s Squadron markings. 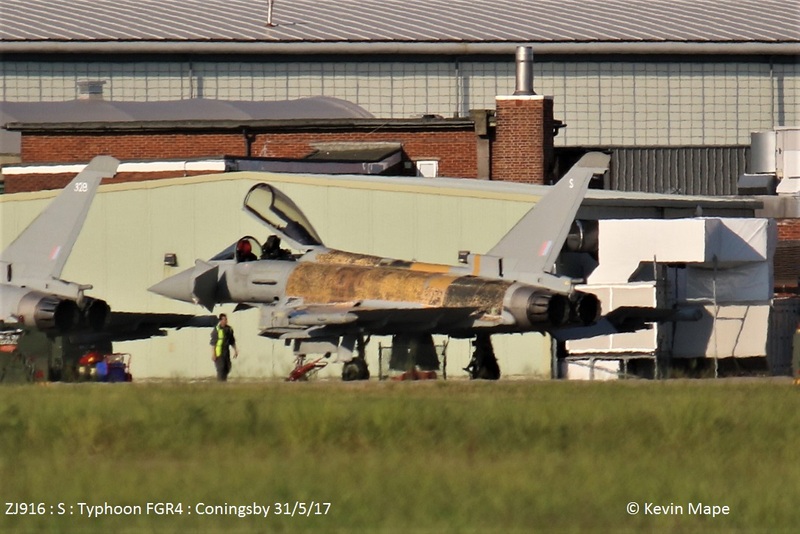 The first Typhoon T3 ZJ815 to go to RTP is now void of it’s Radar, nose cone , tail and all the panels are free from rivits a wing from ZJ815 may go to replace the wing damaged on ZJ916 by Serco in the paint shop. BY, 343, 804, BV, 927, 814, 381, 810, BG, BC, 373, 930, 349, 328. 29sq 328, 804, BG, BV, 927, BY, 930, BC, 381, ZK343. ZK304/FM code only – towed from Foxtrot to North side then back again later. ZM402/24-70Sqn/Atlas T1 c/s “Ascot 400” – high overhead. ZK311/N code only c/s “Lossie 91” – Parked in Echo. 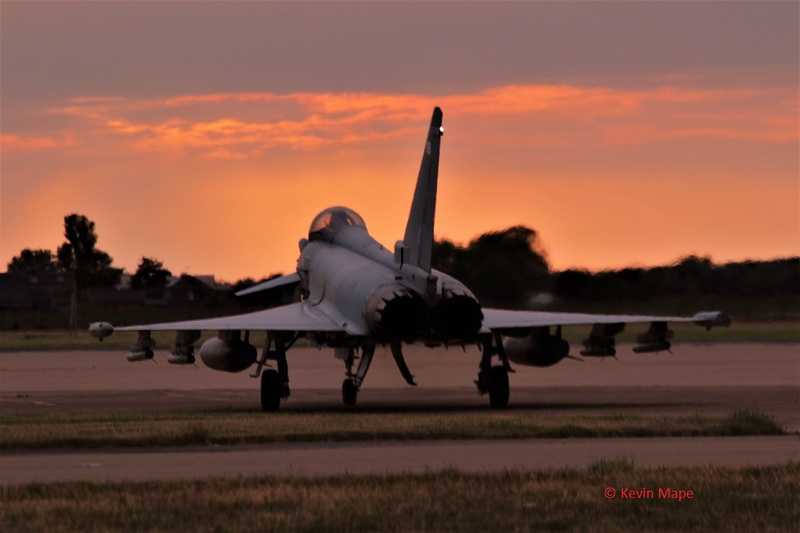 ZK352/BV code only c/s Triplex 1″ – Display jets returning from Exeter. ZJ920/920 code only – Towed from HAS 1 to HAS 4. 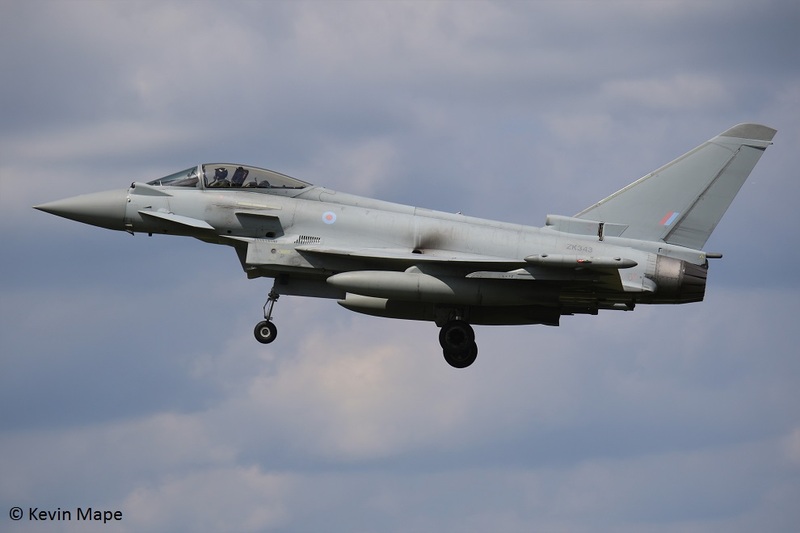 – QRA change over. G-MHAR/BAe Marham/ PA-42-700 Cheyenne III c/s “Golf Alpha Romeo” – Departed. ZK346/ER code only c/s “Rampage 11” – PD at Linton. 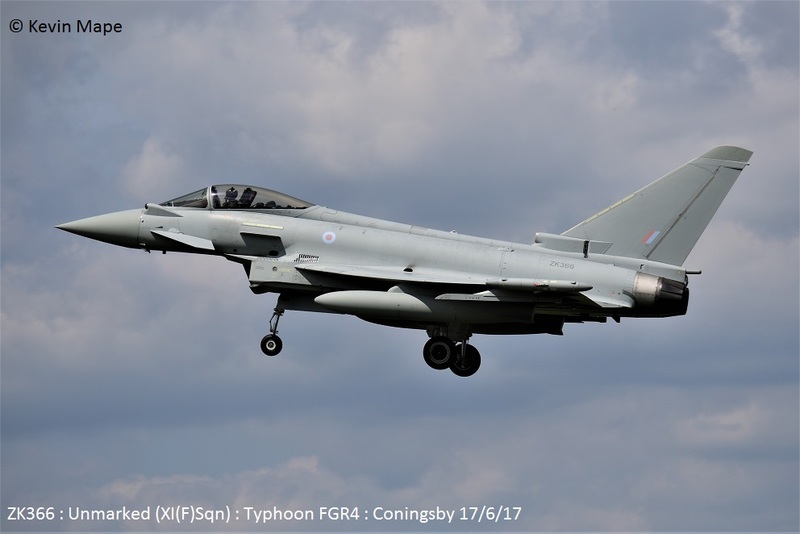 “Typhoon 74” – Ground abort. “Havoc 12” – Ground abort. ZJ920/920 code only – QRA – From HAS 2 to HAS4. ZK311/N code only – Towed to the Wash pan. ZK368/368/II(AC)Sqn – Noted on tow from wash pan to Echo HAS11. AM – No flying due to high winds. ZK354/BY code only c/s “Typhoon **” – Take off abort. 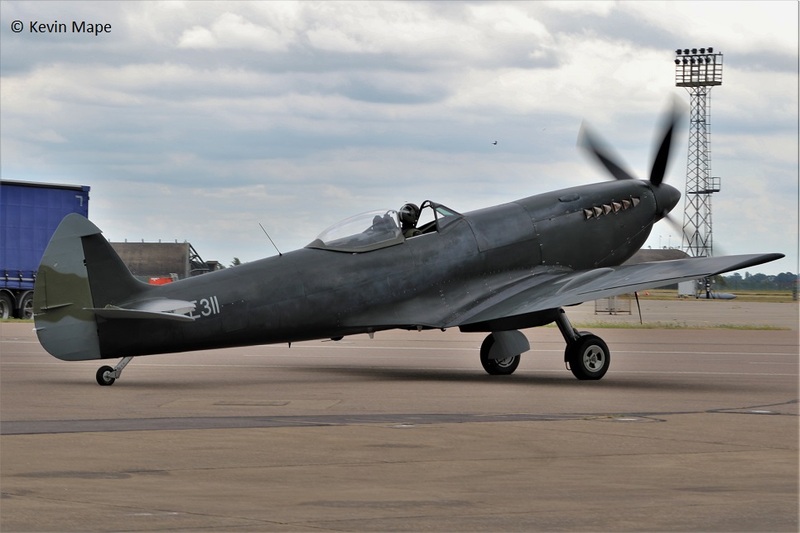 P7350/QO-J & QV-E/BBMF/Spitfire IIa c/s “Spitfire 92” – Returned 21-00. 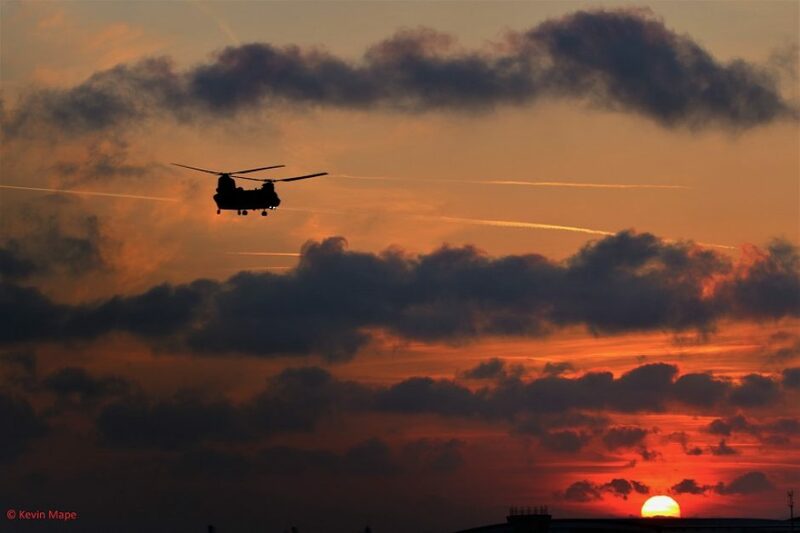 29(R)Sqn – BY, 381. BV, BG, BC, 349, 930, 827, Fy. N-088/Dutch Air Force/ NH 90 c/s “Dutch Air Force 088” – Departed. 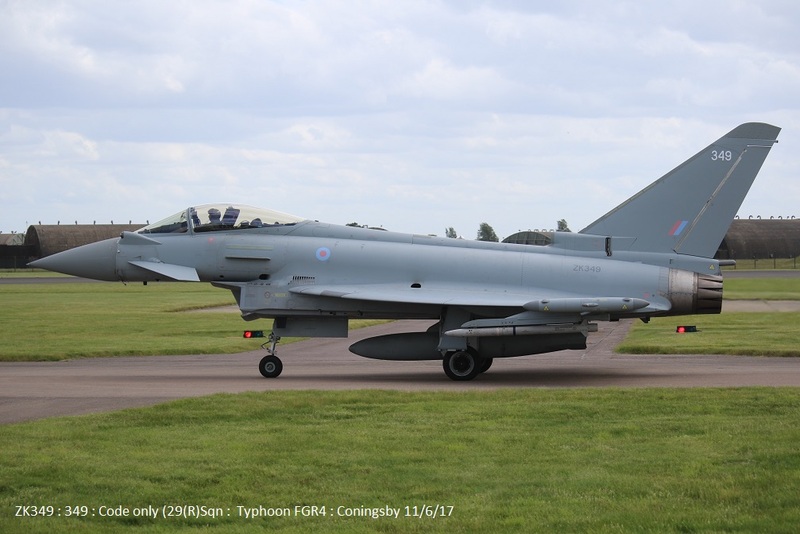 929/929 code only c/s “2JK32” – QRA practice. ZK379/EB-B/41(R)TES c/s “Apollo 22” taxi back – Ground abort. “Triplex 32” – Ground abort. N123CA/Do-28A-1 – Overfly – South to North – 07-35am. 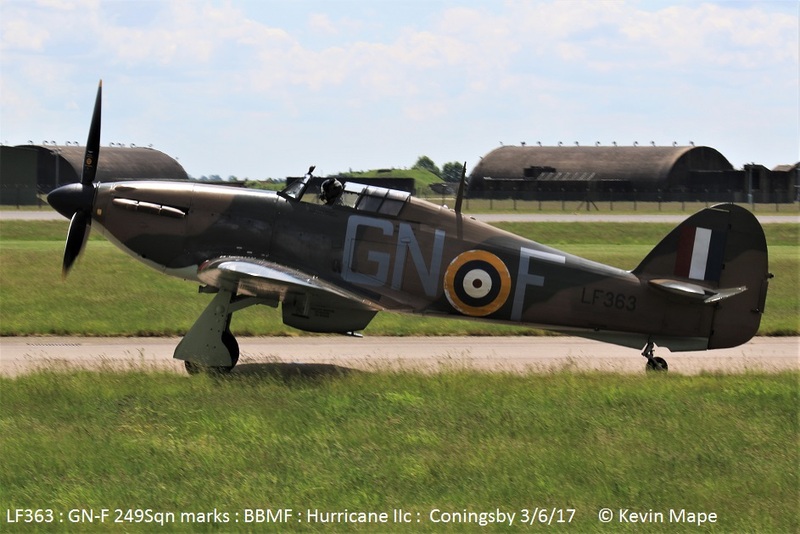 ZK382/BG/29(R)Sqn c/s “Rebel 61” – Returned Bird strike. N0.088/NH90/Netherlands Air Force c/s “Netherlands Air Force 88” – Parked on Sierra. 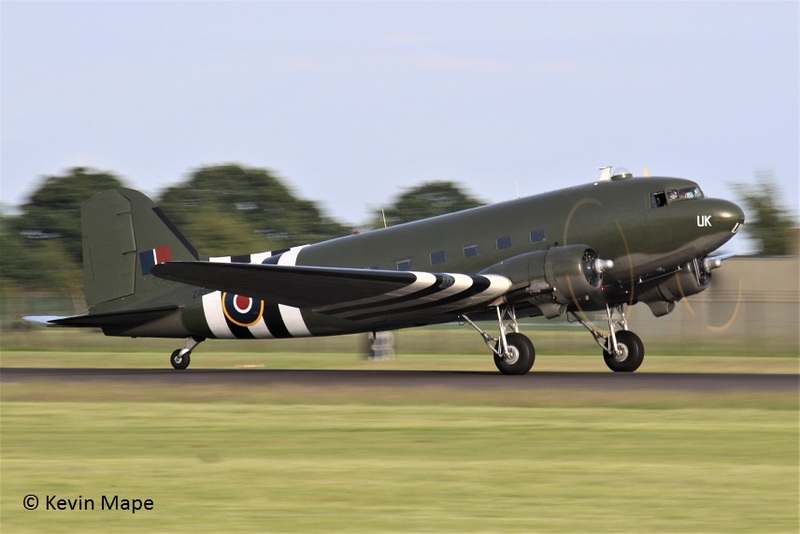 ZA947/UK/BBMF/Dakota III c/s “Dakota 95” – Test flight. No flying due to high cross winds. 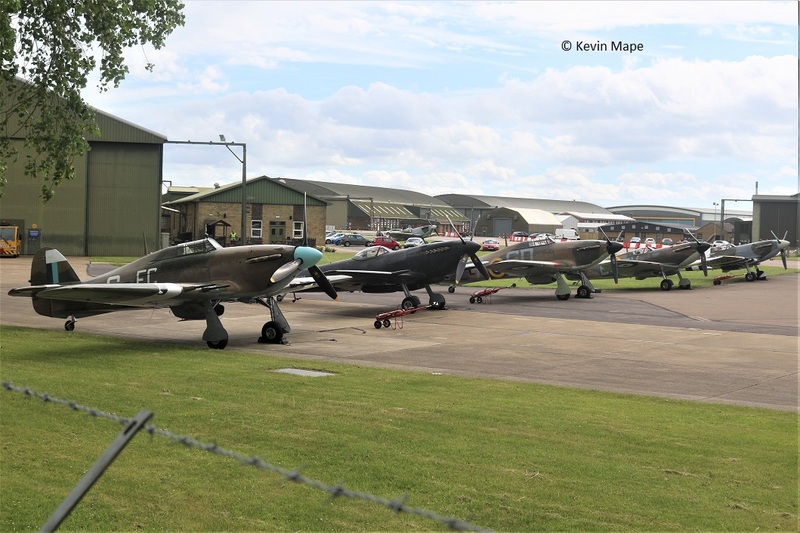 LF363/GN-F & SD-A/BBMF/Hurricane IIc c/s “Hurricane **” – Flypasts. 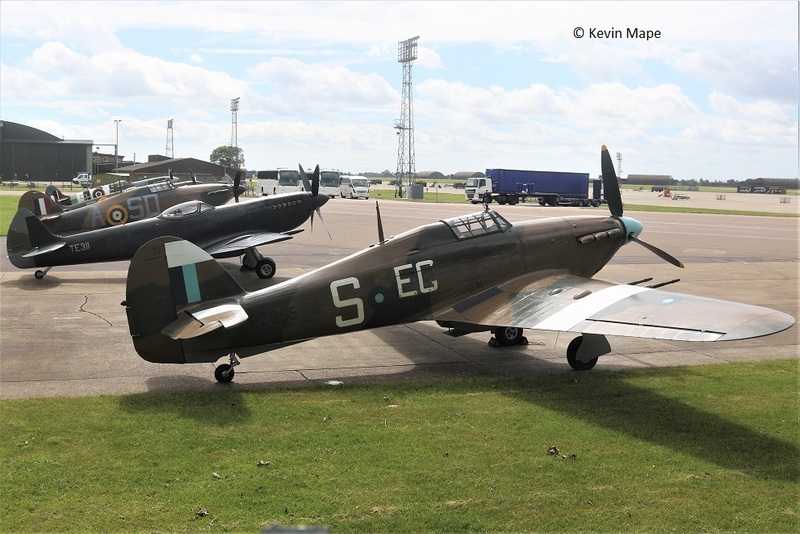 PZ865/EG-S./BBMF/Hurricane IIc c/s “Thompson 1 – 4” – To RAF Cosford show and return. 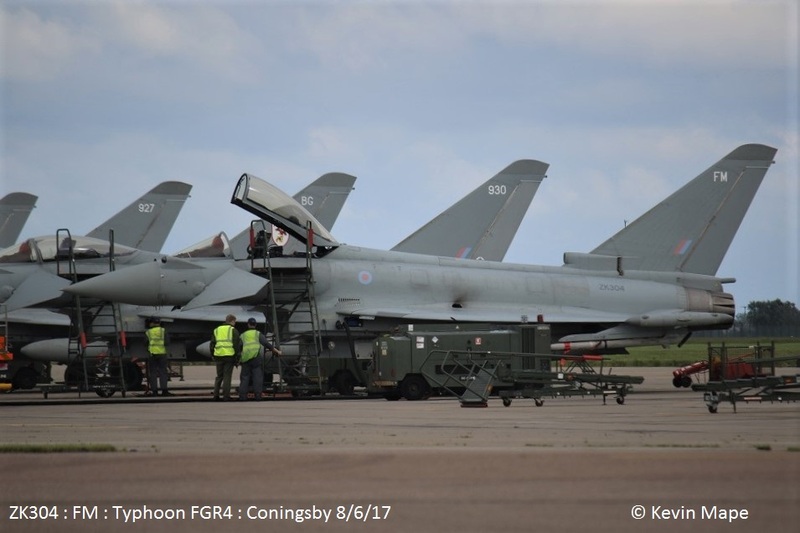 ZK349/349 code only c/s “Typhoon 45” – To RAF Cosford show – returned with problem did only flypast at Cosford. G-XXIV/Castle Air/AB206B jet Ranger c/s “**********” – Parked on the ASP. G-FRAL/AL/Cobham/Falcon 20 EW c/s Vader 61″ – Parked on the ASP. ZJ125/J/845Sqn/Merlin HC3 c/s “Junglie 446” – Parked on Sierra. 29(R)Sqn – 927, 930, 381, BY, FY, 810. G-FRAS/AS/Cobham/Falcon 20 EW c/s Vader 62″ – Parked on the ASP. 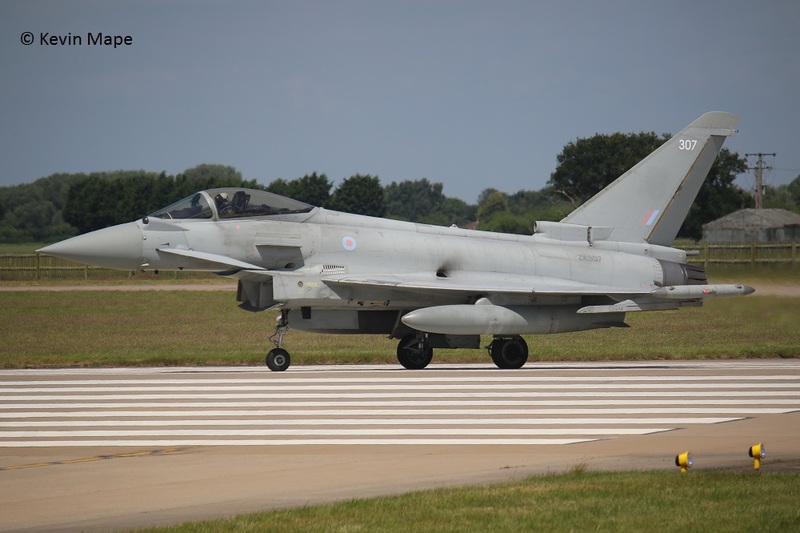 29(R)Sqn – 810,BY, 381, 930, 927, FY. ZA947/UK/BBMF/Dakota III – Engine runs. G-FRAL/AL/Cobham/Falcon 20 EW c/s “Rushton 89” – To Durham/Teeside. ZK332/EB-J code only – Towed from TMF to the ASP. ZA947/UK/BBMF/Dakota III c/s “Dakota 95” – Rollers. G-FRAL/AL/Cobham/Falcon 20 EW c/s “Warlnut 2” – Parked on the ASP. ZJ804/804/XI(F)Sqn – Towed from Foxtrot to the Wash pan. ZK332/EB-J code only – Towed back to TMF. ZJ914/DZ/XI(R)Sqn – QRA radio check. XI(F)Sqn – ZK311/N code only,ZK368/368/II(AC)Sqn marks. G-VRVB/R J Verrall/Vans RV-8 c/s “GVB” — Photo ship to P7350 & LF363. 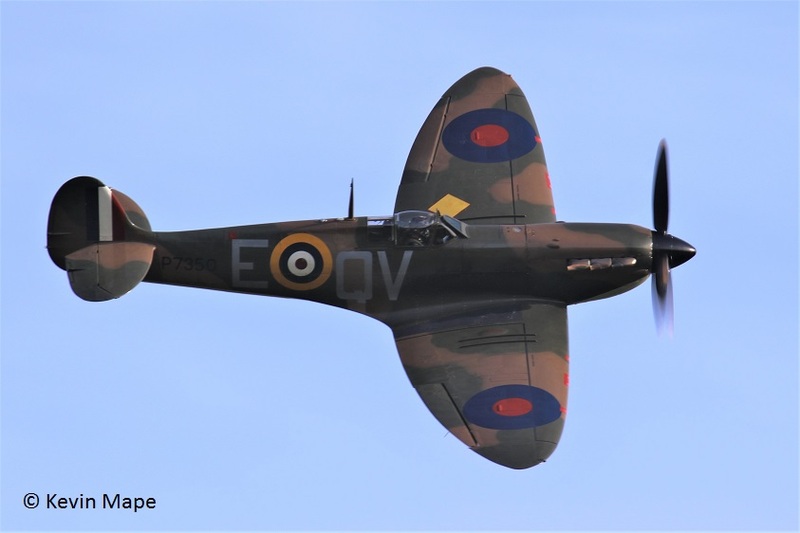 LF363/GN-F – SD-A/BBMF c/s “Hurricane 90” – To Marham. 16th Fri Log thanks to Susie. ZK302/EC code only – Noted on the Wash pan. G-VRVB/R J Verrall/Vans RV-8 c/s “GVB” — Photo ship to AB910. Towed to the ASP ready for the QBF tomorrow. ZK313/W code only – shut down Ground abort. ZK343/Unmarked c/s “Triplex 11”- returned to Cby after flypast. ZK311/N code only c/s “Triplex 13”- returned to Cby after flypast. ZK325/325 code only c/s “Triplex 14”- returned to Cby after flypast. 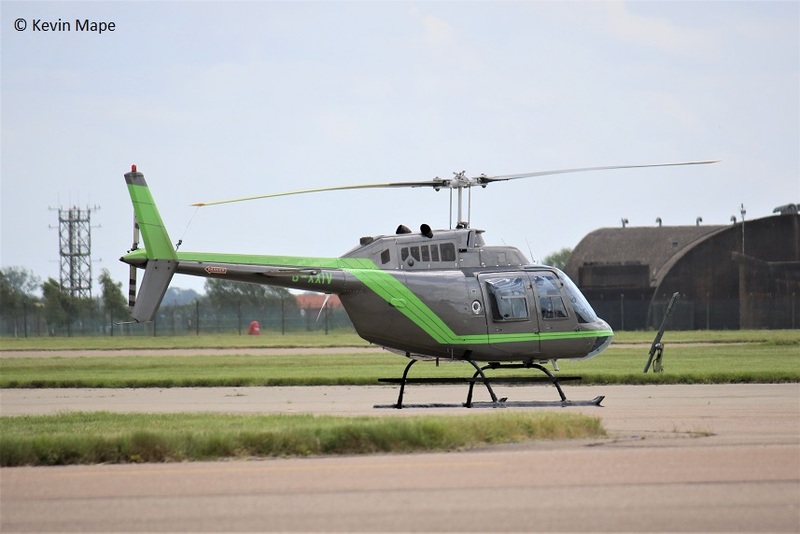 ZK366/ Unmarked c/s “Triplex 15” – Air spare- returned to Cby after flypast. 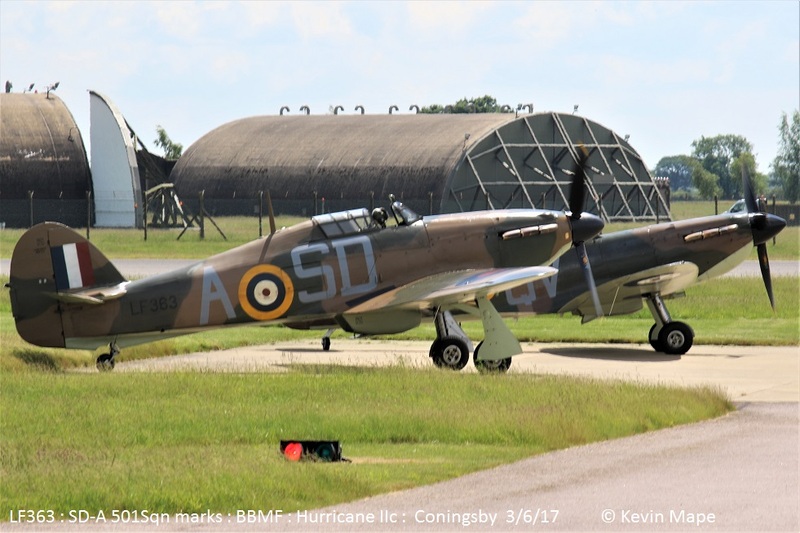 PZ865/EG-S/Hurricane IIc – returned to Cby after flypast. 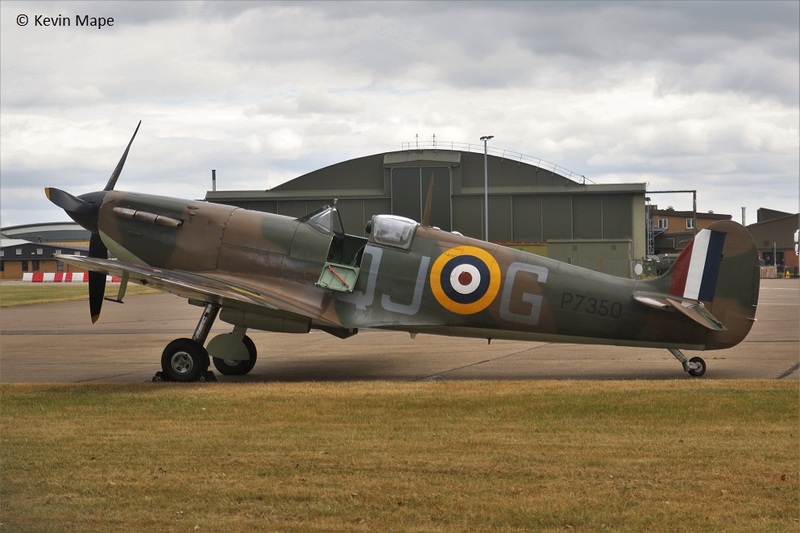 AB910/SH-F/Spitfire Vb – Departed – returned – 14-00 pm. 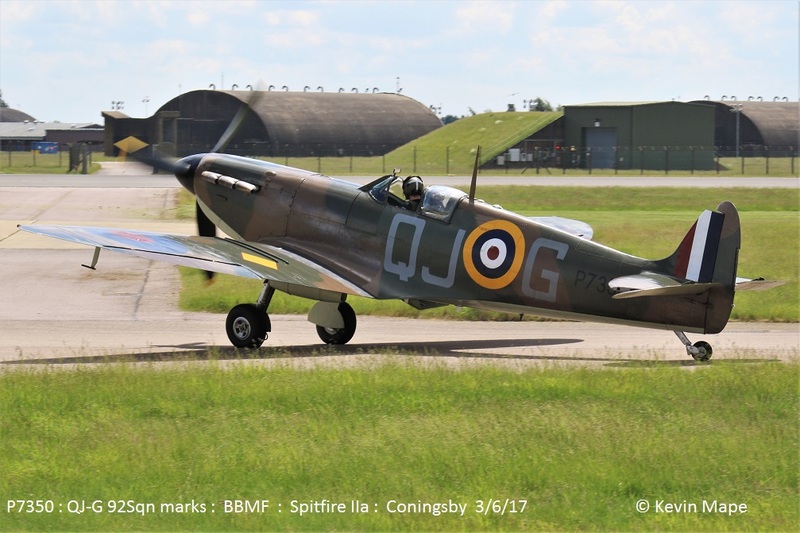 AB910/SH-F/Spitfire Vb – Departed . 19th Mon Log thanks to Garf. ZK366/Unmarked c/s “Havoc 21” – Ground abort. ZJ924/924 code only – Towed from TMF to the ASP. ZK341/EG code only – Towed from TMF to the Wash pan. ZK331/BT/29(R)Sqn -Towed from TMF to the ASP. ZA607/EB-X/41(R)TES/Tornado GR4 – Towed to the Southside for engine tune. ZK368/368/II(AC)Sqn c/s “Havoc 22” – Take off abort. ZK302/EC code only – Noted outside TMF. 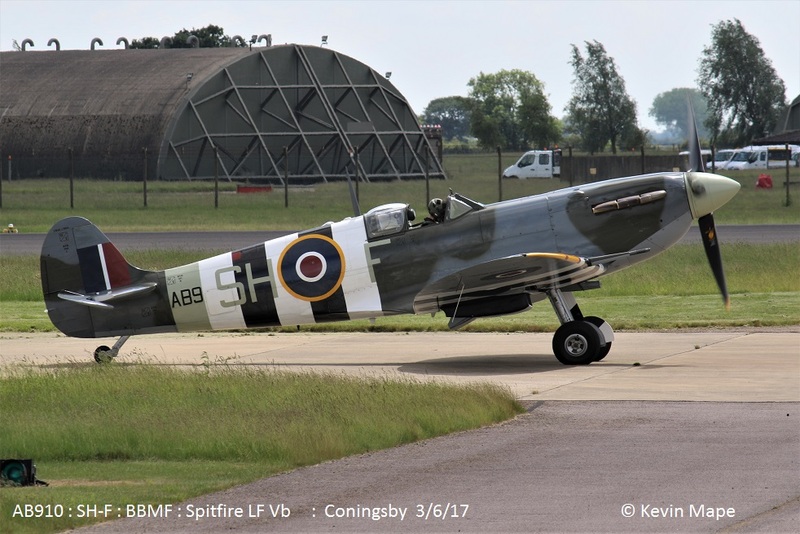 AB910/SH-F/BBMF/Spitfire LF Vb – Display. “Triplex 51” – Ground abort. ZA607/EB-X/41(R)TES/Tornado GR4 – Towed from Southside to 41Sqn Hangar. 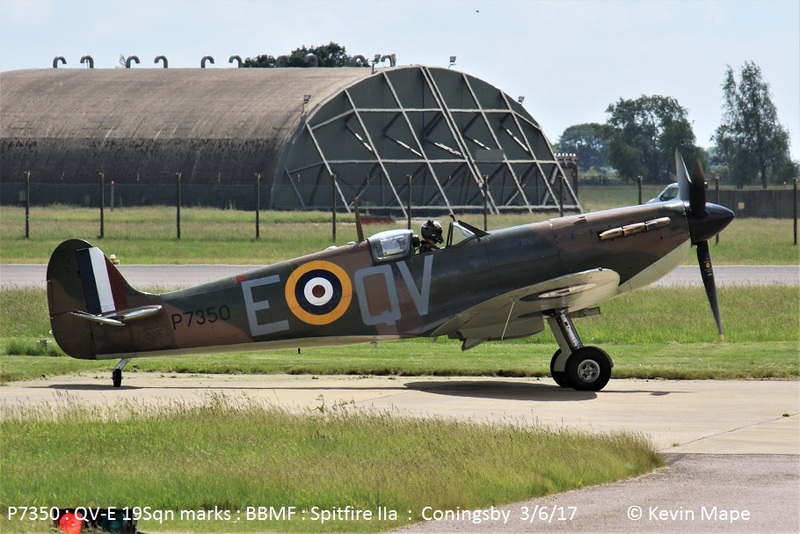 TE311/BBMF/Spitfire LF XVIe – Towed from Paint shop to BBMF ( Still black). ZK341/EG code only – Towed back to TMF.ZK345/EP code only – Noted outside TMF. 927, FY, un, BG, BV, 810, BC, 930, 381, 812. 22nd Thur Log thanks to Mark Hunter. 24th Sat Noted outside & flying. 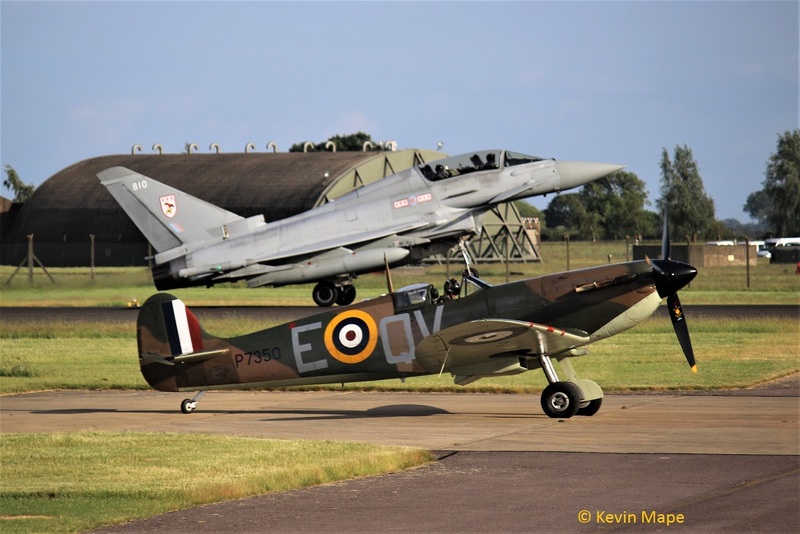 P7350/QV-E – QJ-G/Spitfire IIa c/s “Spitfire 90”- Ground abort – Knob fell off !. 26th Mon Log thanks to Garf : The base is on night flying this week. ZK382/BG/29(R)Sqn – Noted on the Wash pan. ZK341/341 code only – Noted in the Left booth of the Spray shop. XX255/255 code only/Hawk T1A c/s “Cuthroat 1” – Parked on Sierra. XX198/CH/100Sqn/Hawk T1A c/s “Cuthroat 2” – Parked on Sierra. ZK303/AX/41(R)TES-BAe test fleet c/s “Tarnish o5” – Overshoots then landed – Parked on the ASP. ZK303/AX/41(R)TES – BAe Test fleet c/s “Tarnish 05” – Mission. TMF – ZK345/EP code only – Noted outside. ZJ946/Black primer – Noted outside TMF. ZK381/381 code only – Towed to the Wash pan. 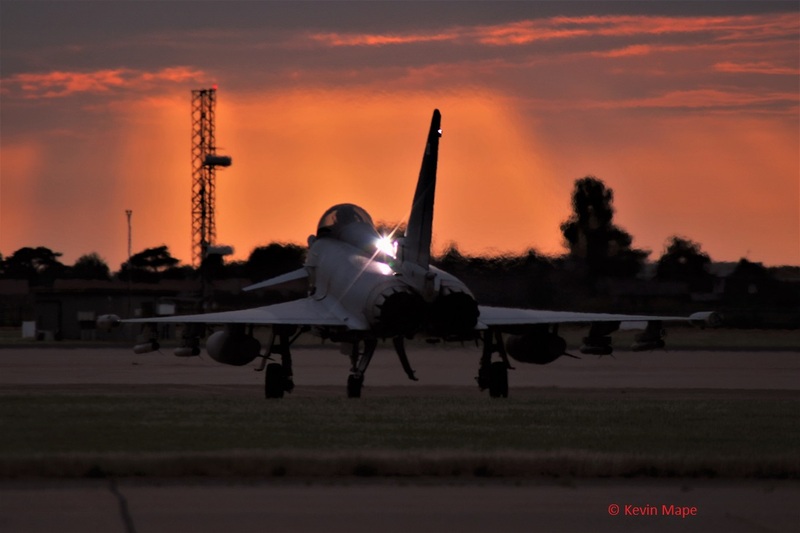 PM – back to 29()R)Sqn Hangar. XX327/G9/Inst of Avn Med/Hawk T1A c/s “Gauntlet 20” – Parked on the ASP. ZK342/342/6Sqn – Noted outside Hangar 2. ZJ920/920 code only – QRA radio check. XX327/G9/Inst of Avn Med/Hawk T1A c/s “Gauntlet 20” – mission & return. XX255/255 code only/Hawk T1A c/s “Pirate 20” – Departed. XX198/CH/100Sqn/Hawk T1A c/s “Pirate 18” – Departed. 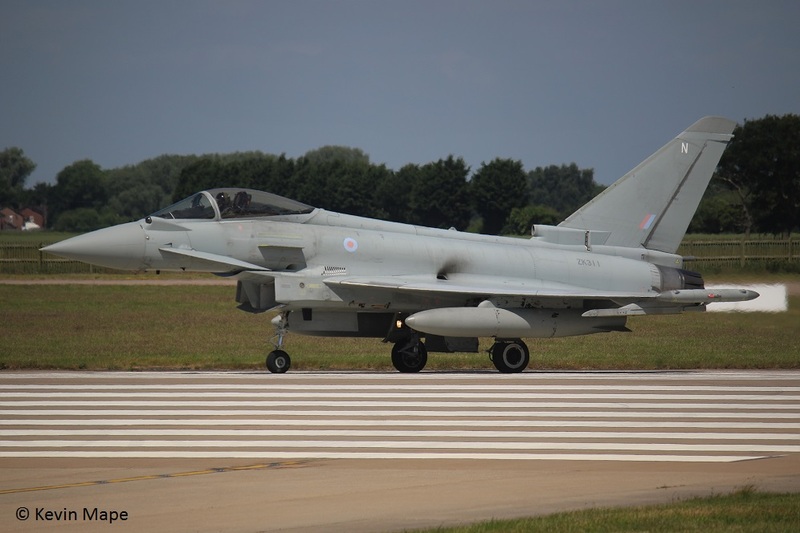 ZK303/AX/41(R)TES – BAe Test fleet/ Typhoon T3 – Noted on the ASP. G-FRAS/AS/Cobham/Falcon 20EW c/s “Rushton 93” – To Tee side. G-FRAH/AH/Cobham/Falcon 20EW c/s “Rushton 91 – To Tee side. “Rouge 2” – Ground abort. 28th WedLog thanks to Susie & Garf. BBMF – ZA947/UK/BBMF/ Dakota III – engine tests. G-MAJC/JC/Eastern/Jetstream 41 c/s “East Flt 105” in “106” out. 29th Thur Log thanks to Dave Crawford. 29(R)Sqn – FY, 812, BV, ZK343. 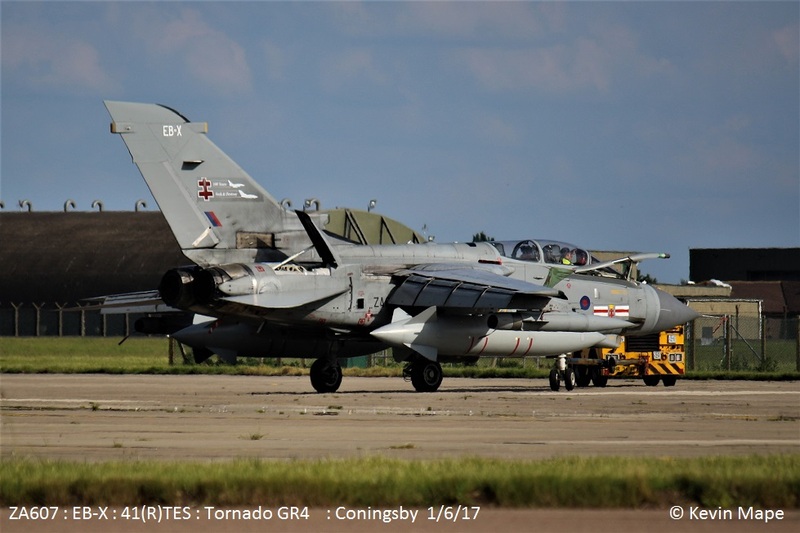 ZA607/EB-X/41(R)TES/ Tornado GR4 c/s “Rebel 87” – Departed. 30th Fri Log thanks to Susie & Dave. BBMF – ZA947/UK/Dakota III – Engine runs. 10-5714 /7 SOS / MC-130J c/s “Strix 20” – overfly. G-FRAH/AH/Cobham/Falcon20EW c/s “Rushton 95” – To Tees side. ZA947/UK/BBMF/Dakota III c/s “Dakota 95” -Ground abort. G-FRAK/AK/Cobham/Falcon 20EW c/s “Rushton 85” – To Tee-side. G-FRAR/AR/Cobham/Falcon 20EW c/s “Rushton 91” – To Tee-side. 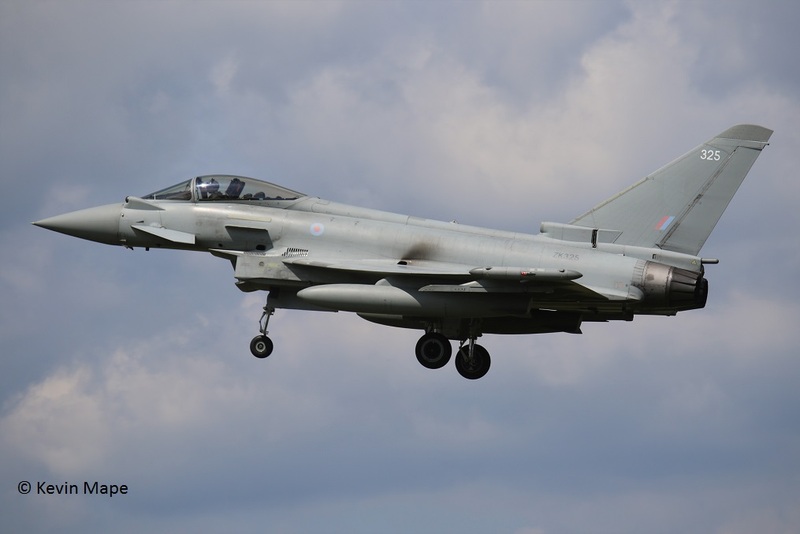 ZJ811/811/II(AC)Sqn – Noted on the ASP. Hurricane IIc – LF363/GN-F & SD-A,PZ865/EG-S.
ZJ813 : BL : 29(R)Sqn : WFU – Inst Airframe in 29(R)Sqn Hangar. ZJ946 : EJ : code only : Arrived 26/1/17 as “Lossie 58” to Paint shop for stripping 20/2/17.To TMF minus paint 6/3/17. ZK332 : EB-J : code only : – Noted on the ASP 13/6/17. ZK307 : O : code only : – mods. 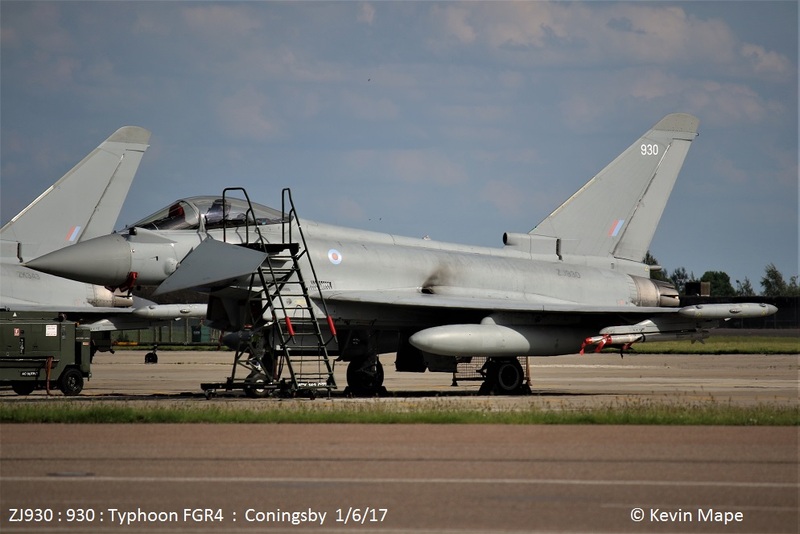 Towed onto the ASP 4/5/17 – Flying with 3(F)Sqn 5/6/17 coded 307. 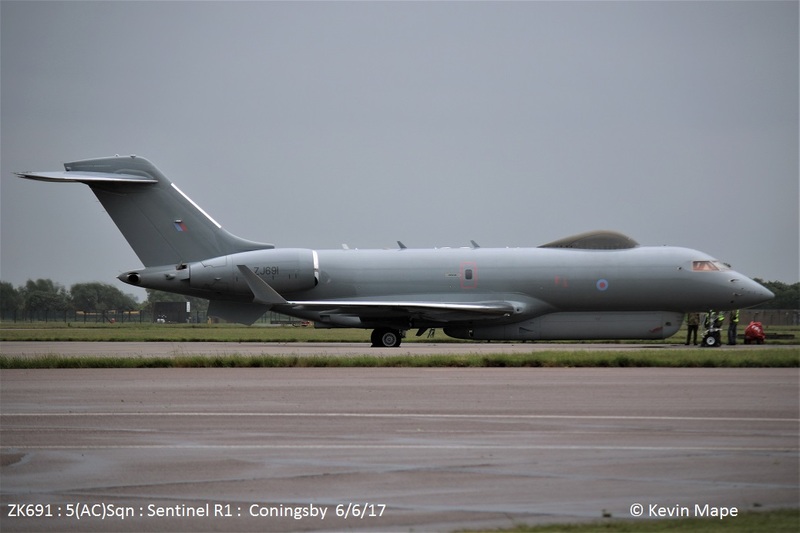 ZK366 : Unmarked : Noted on the ASP 27/4/17 .Noted on the ASP 11/5/17.Flying with XI(F)Sqn. ZK326 : FB : 1(F)Sqn – Stored in Hangar 2..